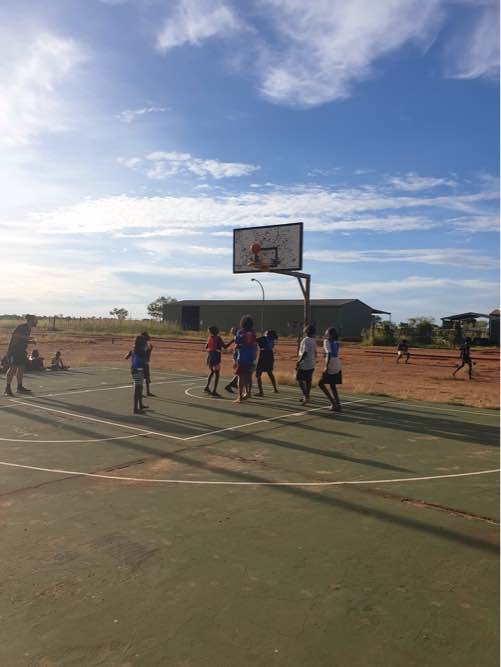 Round 3 of the after school Basketball Competition in Noonkanbah has continued to be extremely successful, with a couple of teams beginning to separate themselves. The competition is aimed at boys and girls aged between 11-17 who are attending school regularly. Once again we had strong attendance numbers with around 20 adults from community and many more kids cheering on while the teams compete. The ladder has also been displayed around community as well as leading scorers which will be used for a presentation on finals night .